You’ve heard of a spokesperson, but what about a social media influencer? Influencers are popular people, personas and brands that have a passionate following, strong engagement and persuasive voice with their audiences. Think of them as the Oprah’s of social media. Since what influencers say about a company is ten times more powerful than brand-sponsored and -created content, influencers have the power to sell your products and services for you. While you may be accustomed to using ads to market to your target audience, leveraging influencers can help your business drive sales and gain traction with Millennials. But it’s about more than just picking any persona that’s popular among a segment. Rather, it’s all about finding the right influencer for your brand. Before you approach an influencer to partner with your brand, ensure they have the same stances as your company. Are you comfortable with their point of view on politics, environmental issues or animal welfare, for instance? How do you feel about the language they use? You never want to work with someone who doesn’t match your own brand’s mission and voice. It’ll be a strange clash that is proven to negatively impact your current and future customers’ perceptions of your company. If you need inspiration, look to Old Navy. This retail company partnered with a fashion blogger to effectively market their clothes. As another example, Sperry Shoes leveraged 100 micro-influencers to promote its footwear. In both cases, the brands aligned with what the influencers stood for, and the partnership felt natural and right. 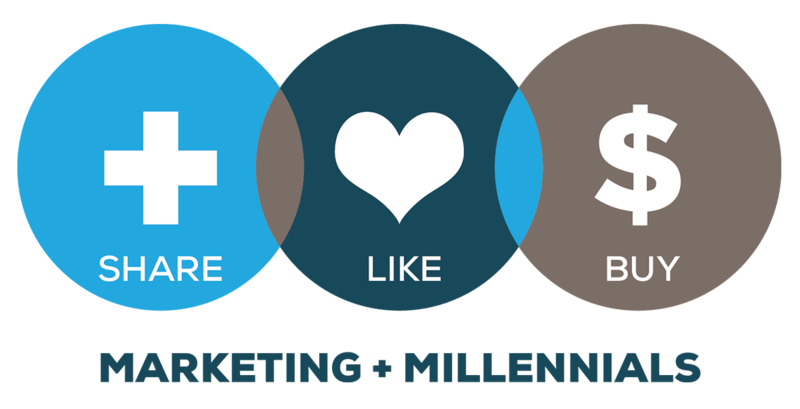 One study revealed that 60 percent of Millennials are loyal to specific brands, and 62 percent say they’re more likely to ally with a brand if the brand engages with them via social media. While it might be tempting to go with influencers who have millions of followers, you should focus on quality not quantity. Instead of counting followers, look at how engaged an influencer’s audience is. How passionately do they reply to posts, come to their influencer’s defense and share information? The more engaged an audience is, the more likely they are to take an influencer’s word to heart — and if that’s a message about your brand, then you’ll tap into the same affinity. It might feel great to get a popular blogger’s following to look in your direction, but does that audience fit your typical customer base? Think of influencers as targeted ads; their messages will reach certain demographics and a different number of prospective customers. Are these customers ones you want or people that will be interested in your products and services? Ensure your influencer’s audience is one you want to capture before forming a partnership. Authenticity is the word of 2017 and probably 2018. Millennials and customers crave interactions with brands that feel real and legitimate. If you’re going to work with influencers, you need their voices to come through so your customers can get the interactions they seek. While you can give direction on what you would like promoted, work with influencers to see how they can frame your brand to seem authentic to their followers. All in all, it’s always better to have someone else “toot your horn” than for you to do it yourself. That’s where influencers come in. If you haven’t already started, now is the time to start 2018 off on the right foot. From time-to-time we have guest bloggers contribute to our site. The views, opinions and positions expressed within these guest posts are those of the author alone and do not represent those of the Millennial Marketing team. The accuracy, completeness and validity of any statements made within this article are not guaranteed. We accept no liability for errors, omissions or representations. The copyright of this content belongs to the author and any liability with regards to infringement of intellectual property rights remains with them.